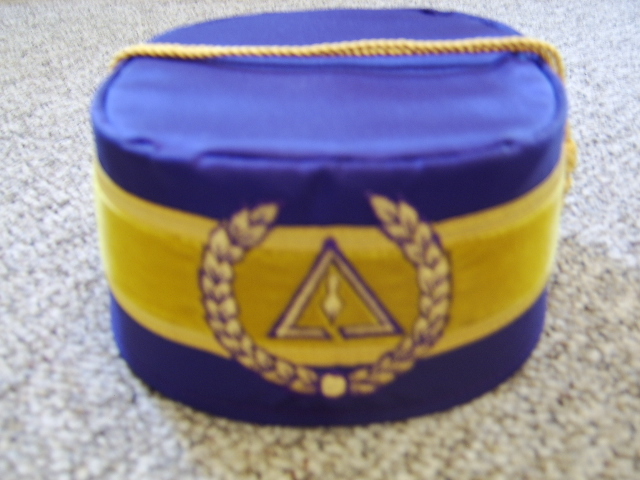 R & S CROWN. 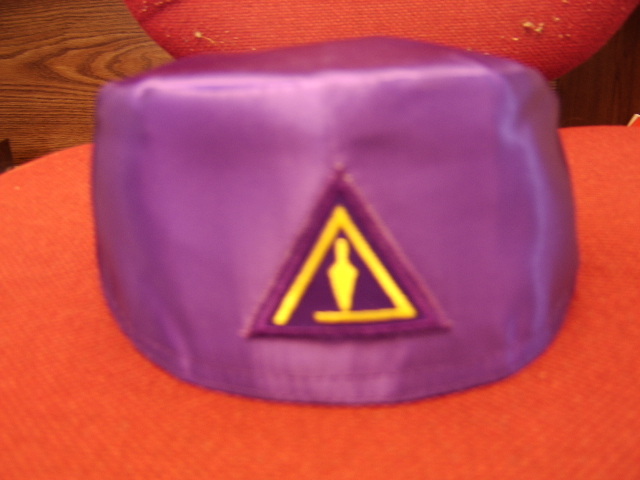 PURPLE SATIN WITH MYLAR EMBLEM AND WREATH. STATE YOUR HEAD SIZE. 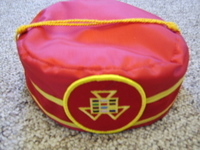 PGIM CROWN. 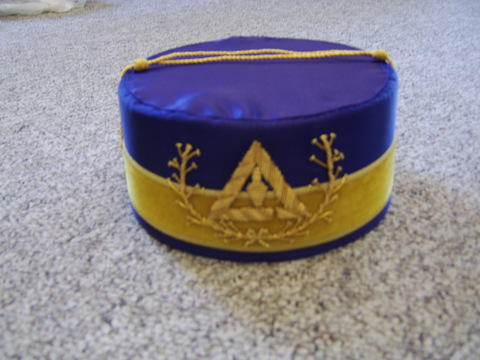 PURPLE SATIN WITH BULLION EMBLEM AND WREATH. BREAK IN TRIANGLE ON RIGHT. STATE YOUR HEAD SIZE. 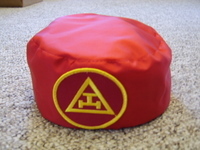 RED ROYAL ARCH MEMBER CAP WITH SOFT SIDES. STATE HEAD SIZE. 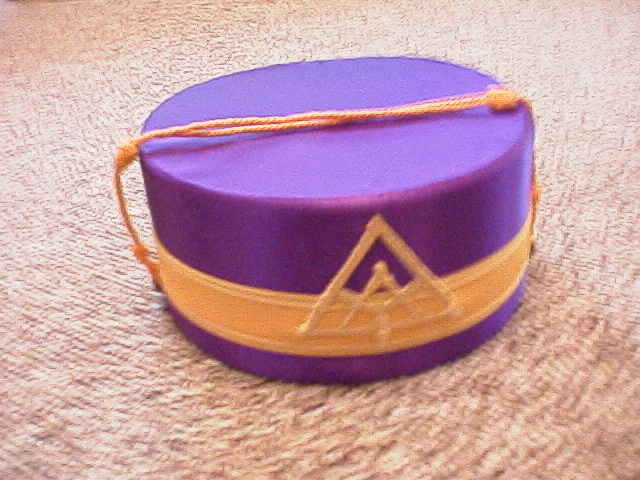 PURPLE VELVET COUNCIL HAT, ADJUSTABLE TO FIT MOST. 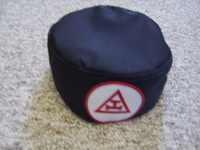 BLACK SOFT CAP WITH CHAPTER PATCH. STATE YOUR HEAD SIZE. 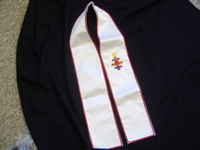 MANTLE SIR KNIGHT LINED. MEASUREMENTS REQUIRED.